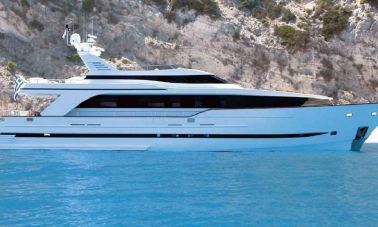 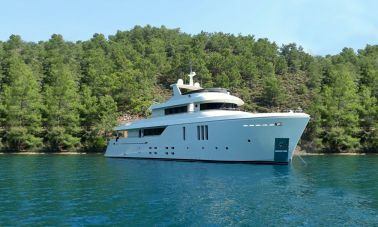 Buying a GRP ( glass reinforced plastic ) shortly fiber glass yacht has many advantages however the grp boats has a widely known common disease which is called “osmosis” and you might really want to know if your future yacht has been effected with osmosis, before buying. 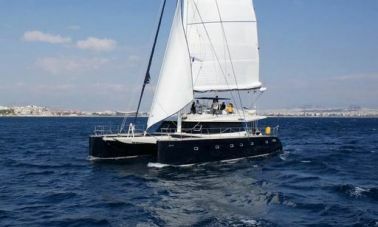 We can offer you our expertise to help you get a perfect sailing yacht built with grp, epoxy laminated wood with cold molding, Marine grade Aluminium or hst (high tensile steel. 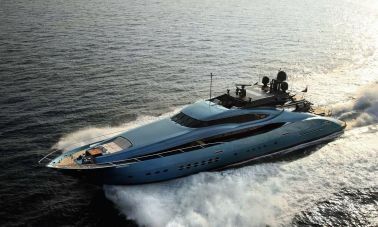 from the anchor to chains, engine room and all the extra apparatus which might have, ropes, fenders, electrical wiring , electric motors, pumps, control panels… everything counts. 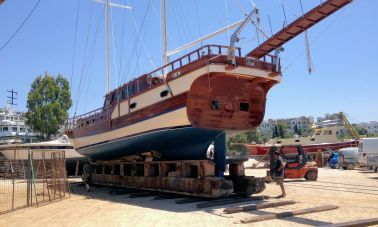 the next step is to calculate how much annual maintanence, fuel, mooring fee and crew wages you might be undertaking in order to know what you are really getting into. 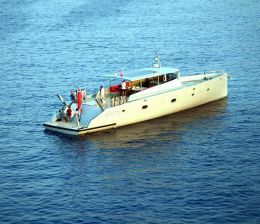 not to forget the resale value of your yacht should be maintained as high as possible . 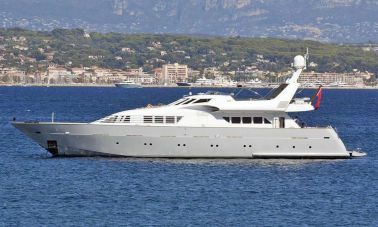 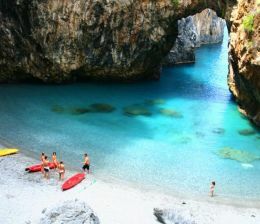 this is why we really recommend to have the yacht for sale expertised with an expert captain and even take her to a sea trial and pay him up , you will not regret the money you would spend on such expertise. 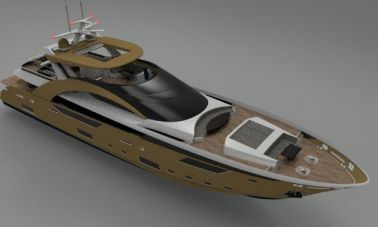 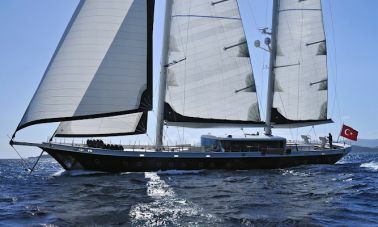 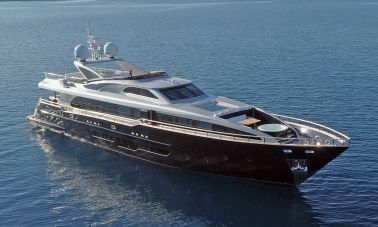 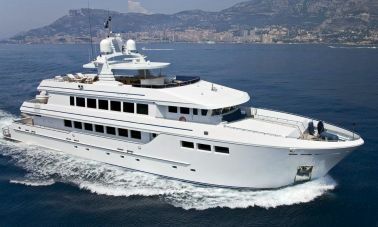 the rounded stern or Transom types with superior performance and maneouvrability when sailing however they are the most favorable leisure yachts with their spacious interiors since they are mostly designed for maximum comfort and can be compared with 5 star hotels suits with master cabin accomodations and they are as luxurious as sailing yachts. 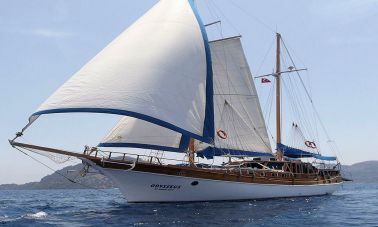 Lately ultra luxury Gulets built in Turkey and are being sold all around the world, they are preferred for being strong, seaworthy and are built bigger and better each and every year to satisfy the most exigent cruise vacation customers and yacht owners. 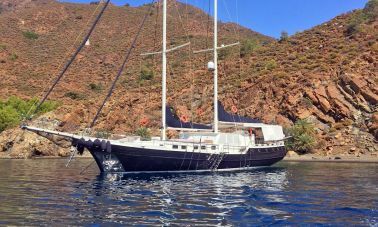 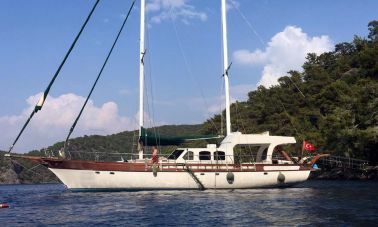 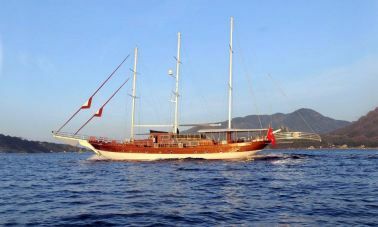 Akasia yachting can help you locate and buy or help you with a new contruction of a traditional Turkish gulet built with marine type high tensile steel, Aluminium, Composite grp or epopxy laminated wood according to your taste, price and furthermore to your hearts desire..